I had the first week of June booked off work and upon arriving at the lake I was full of anticipation for my week ahead. With spawning all but done I expected the fish to be hungry and up for a bit of bait. 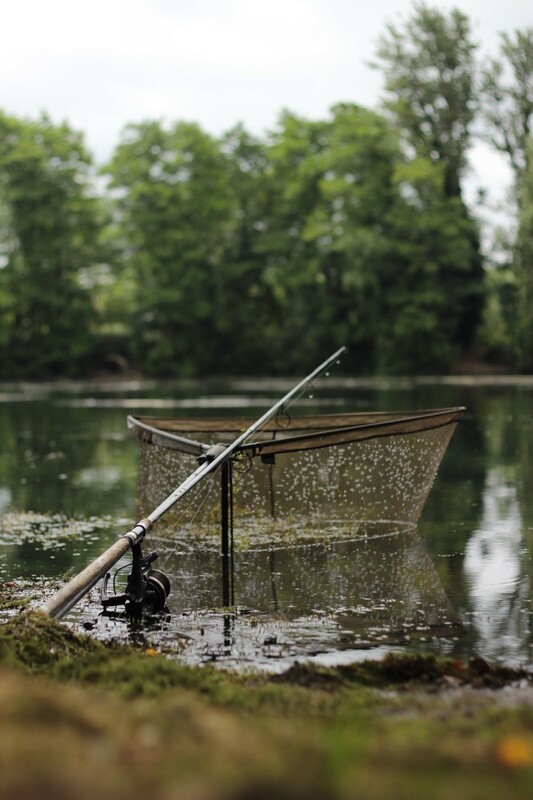 I ended up settling in a swim called ‘Niges’ and fished two rods on a smooth silty area at 12 wraps. I baited the area with a good helping of Crave and CompleX-T dumbells, Frenzied Hemp and whole and crushed Tiger Nuts. I was using simple blow back rigs and wrapping my hookbaits in the CompleX-T Tuff Paste. On my first night I unfortunately lost a fish in the weed in front of me. Burnt but more determined I cast the rod back out, but I felt my chances of a morning bite were now spoilt. As it transpired I was right and didn’t get another take until midnight the following night. The fish felt heavy and upon netting it I was blown away by the frame of the fish. 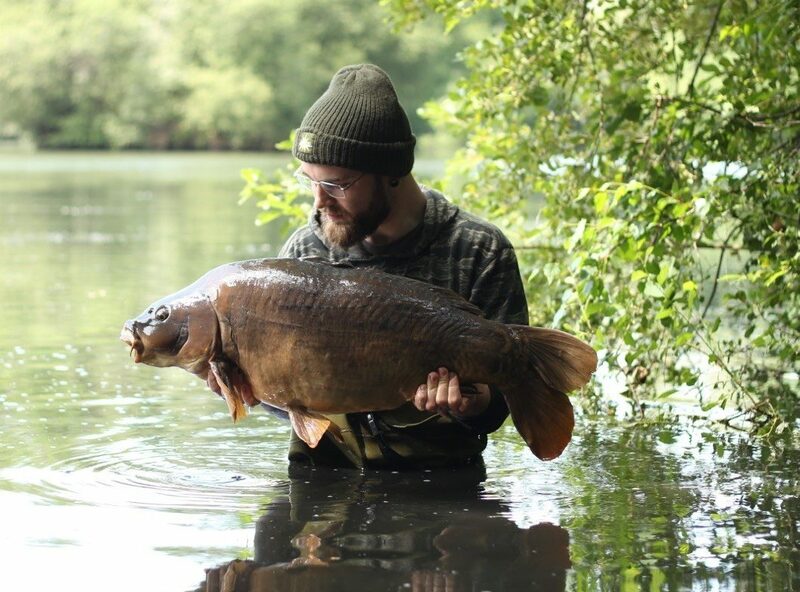 It weighed 36lb and I later found out it was a fish that does 40lb before spawning! I got my friend Neil to pop round and help out with the pictures before I slipped her back to her weedy home. I rebaited the spot and cast a fresh rig out, again hoping for some action later in the day. Unfortunately for us both, Neil had two catfish that morning which seemed to put the fish off. I reeled in again at about 1pm and left the rods out until about 9pm ready for the night. Another mate Ryan was now fishing and Neil had gone. Me and Ryan sat up and I was telling him about what had gone on before he got there. We went back to our swims about midnight and as with the previous nights I was anticipating a bite. That bite didn’t come until 10:30 the following morning. I landed a nice little 25lb 8oz mirror and repeated the usual routine. That evening the fish showed a lot of activity out to my right. Ryan had moved swims now and I was hoping that with him casting the fish might move back into my corner for the evening. 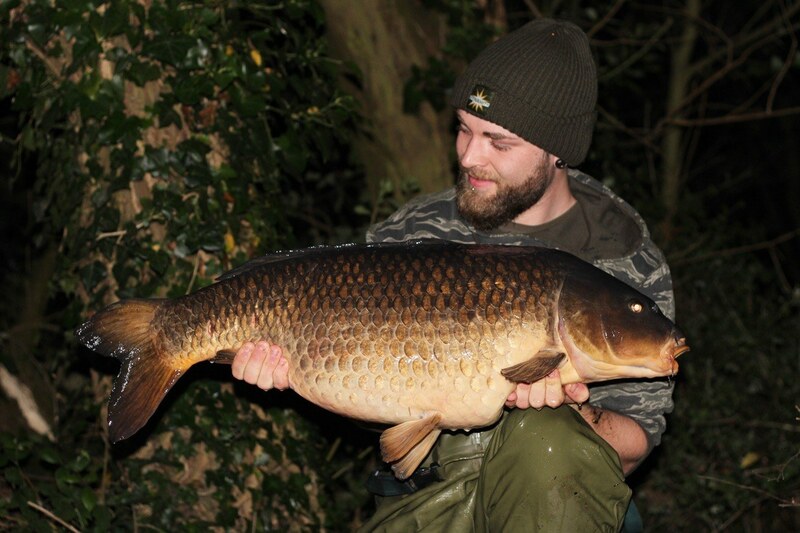 At about 2:30am my alarm screamed into life again and I managed to slip the net u set a nice chunky common. It was one of the Redmire strain commons in the lake and weighed 33lb 8oz and once again, fell to a CompleX-T dumbbell. I put the rod back out but as previously had happened, I didn’t receive another bite that morning. I rested the swim again as the Friday afternoon brigade turned up and felt happy that my corner had stayed mallet basher free. I had another take at about 6am and unfortunately lost the fish due to a hookpull in the weed in front of me. Undeterred I put more bait out and put both rods into the spot. I didn’t rest the swim that afternoon and felt confident going into my last night. I didn’t receive any action through the night but sure enough as things got light in the morning the spot resembled a jacuzzi and I was soon netting a nice dark mirror. It weighed 31lb and was a fitting end to my trip. After that trip I went home for a night, showered, recharged my battery’s and re-stocked on food. I had to be in work for a day but once I’d finished I was back in Yateley for two nights. I settled in a swim called 3rd island and opted to fish just one rod due to there bring anglers close either side of me. I found a nice spot tight to the island and fished a complex t dumbbell over a bed of matching freebies, hemp and tigers. The night was quiet and At about 8am my rod pulled up tight and I hit into a very powerful fish. Unfortunately it weeded me up and the barbless hook came out. I put the rod back on the spot, re baited and sat back in anticipation. Unfortunately there was no more action to be had that session and I left feeling slightly burned. I returned the following week for what would be my last session of the month. I got to the lake and after doing a lap I settled for a swim known as the beach swim. I’d never fished this swim before but could see plenty of fish cruising around in the weed at about 50 yards out. I flicked two balanced CompleX-T pop-ups out to the edge of the weed in front of me onto a raised sand bar and baited the spots with my usual cocktail of bits. I had a few liners throughout the night but it wasn’t until 8am the following morning my right hand rod rattled off. 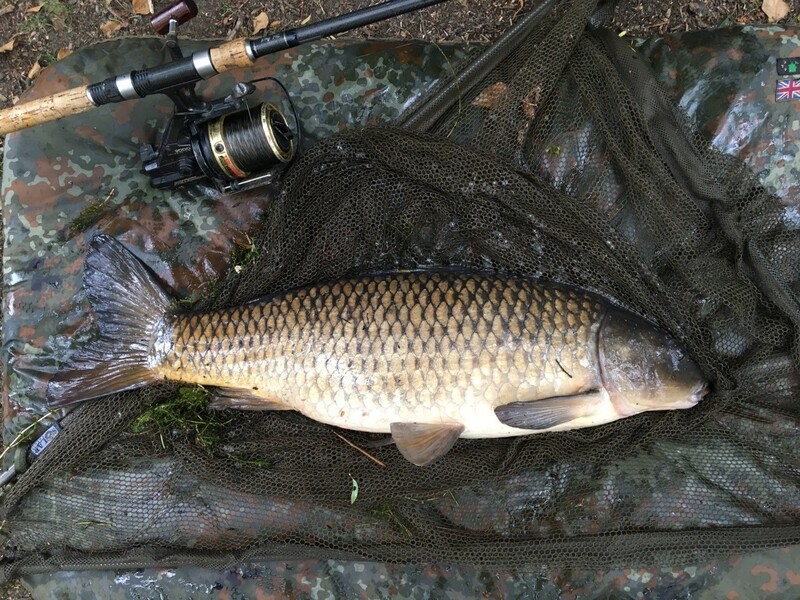 The culprit turned out to be a small common of about 14lb. I took a couple of pictures on the mat before letting it go and putting the rod back out. I reeled in about 1pm and did a couple of laps of the lake, mostly to pass the time until I put the rods back out that evening. As with the previous night, I received plenty of liners and heard more than a few fish showing in the weed bed behind my rods. I had to wait until almost midday however before I received another take. 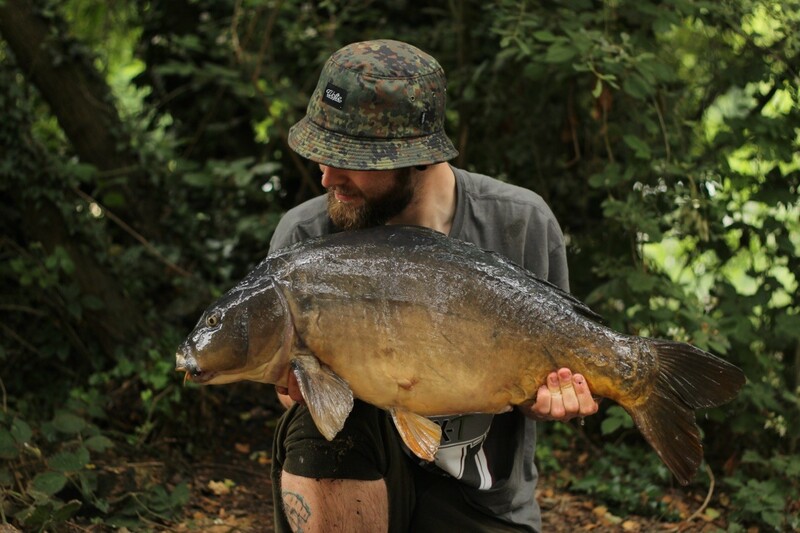 This time the fish felt much bigger and upon netting it I realised that I’d got a nice old looking mirror in the net. It’s head was really thick set and it was all sucked in and bent up. 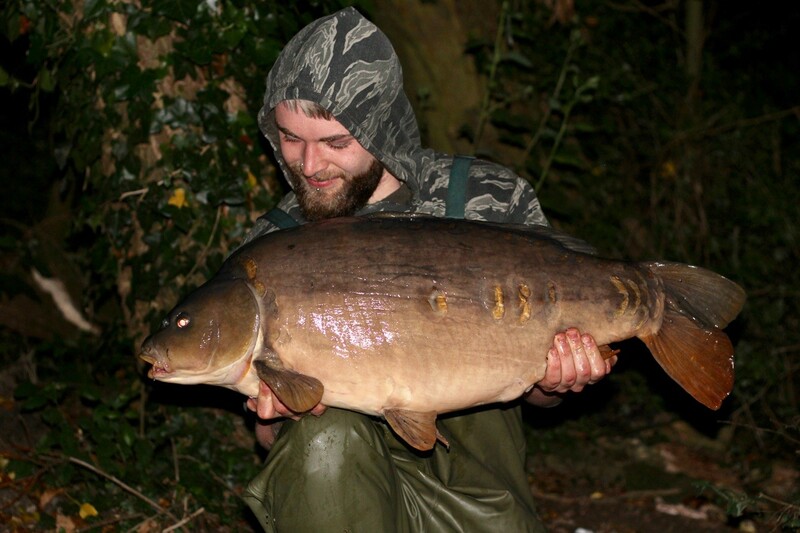 It pulled the scales round to 28lb although I imagine pre-spawning age was a 30, but I was over the moon none the less. It took me up to eight fish for the season, three more landed than the season before! This was a huge relief considering how terribly mine and more than a few others season had started. My friend Jordan kindly came round and took some lovely photos for me before I slipped the old girl back.